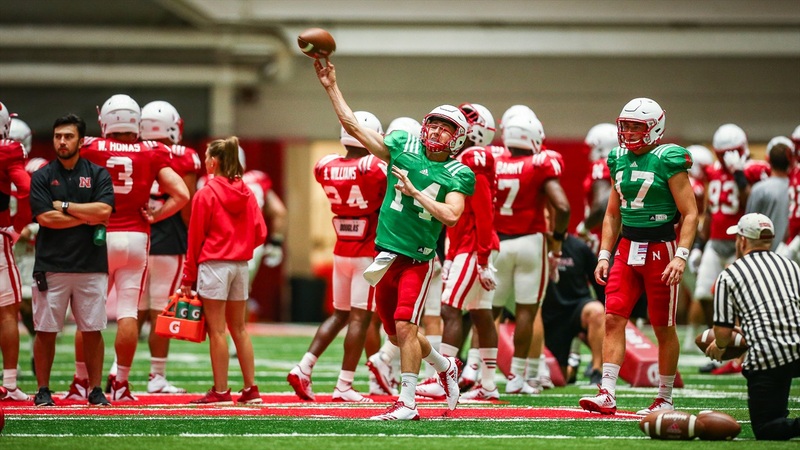 Adrian Martinez made his first public appearance as Nebraska's starting quarterback on Monday, but there's suddenly a little bit of uncertainty around the backup role after Scott Frost confirmed that redshirt freshman Tristan Gebbia did not practice to start the week. The quarterbacks were informed Martinez would be the starter on Saturday. "He took the news initially really well," Frost said, "but we'll have to see how it plays out. Certainly every single guy on our team we're going to care about and want what's best for them. We want guys that want to be here, and hopefully everything lands in a good position but that's to be determined." Gebbia and Martinez battled for the top spot through the spring and for most of fall camp. On Aug. 17, Frost said the "two-horse race" for the starting job was "neck-and-neck." A week later, Frost had decided on a starter but wasn't quite ready to announce it publicly. That announcement came early Sunday morning. "Tristan's a great kid," Frost said. "There have been several players who have chosen not to be a part of the program. Some of the decisions I agreed with, some of them I didn't. But no matter what these are good kids and we want what's best for them. We preach that we care about the kids and when they make a decision that doesn't involve us we'd be lying if we didn't help them and act like they're important to us. Gebbia was a 4-star recruit coming out of Calabasas High School in the class of 2017. He threw for more than 12,000 yards over his prep career, completing 65.9 percent of his passes with 129 passing touchdowns. Sophomore Andrew Bunch or true freshman walk-on Matt Masker would be the next options up for the Huskers.